This fabulous Scalloped Carrots recipe is a perfect side dish for potlucks and other entertaining times. A smooth and velvety cheese sauce blankets the tender carrots with a crisp bread crumb topping in this easy make dish. 1. Preheat oven to 350 degrees F. Boil carrots in small amount of salted water 4-6 minutes or until until just crisp-tender. Drain and set aside. 2. Melt 1/2 cup butter in heavy saucepan over low heat. Add onion and garlic and sauté until tender. Add flour and mustard, stir until smooth. Cook 1 minute, stirring constantly. Gradually add milk. Cook over medium heat, stirring constantly, until thick and bubbly. Add salt and cheese, stirring until cheese melts. 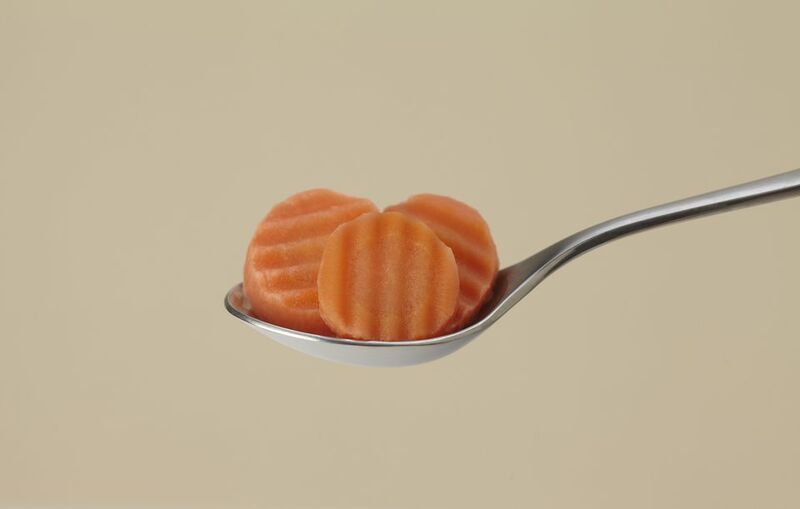 Combine carrots and sauce in a lightly greased 2-quart casserole. 4. At this point you can cover and refrigerate the casserole. About 45 minutes before you're ready to eat, take out of the fridge, sprinkle with breadcrumbs, and bake for 40-50 minutes, until bubbly and browned. 5. If you want to eat right away, combine 2 Tbsp. melted butter and breadcrumbs in small bowl; sprinkle over casserole. Bake at 350 degrees F for 25-30 minutes or until sauce is bubbly and topping is browned.